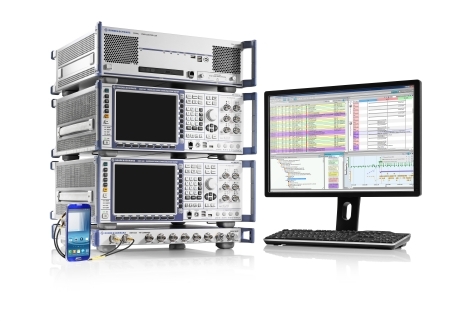 Rohde & Schwarz, based in Munich, Germany, has launched two extensions to the GNSS simulator in its SMBV100A vector signal generator: GLONASS and GPS P-code capability. The SMBV100A already had the capability to generate a range of GPS and Galileo civil signals as well as wireless standards, including GSM/EDGE, 3GPP with HSPA, LTE, Bluetooth, and Wi-Fi. The GLONASS option provides simulation of FDMA civil signals at L1 and L2 in static and localization modes. The extension allows an automatic setup of GLONASS scenarios, including optimized constellations. User-definable almanac files offer real navigation data. The GPS P-code option supports simulation of up to eight GPS satellites with P-code only or combined civil C/A- and military P-codes.